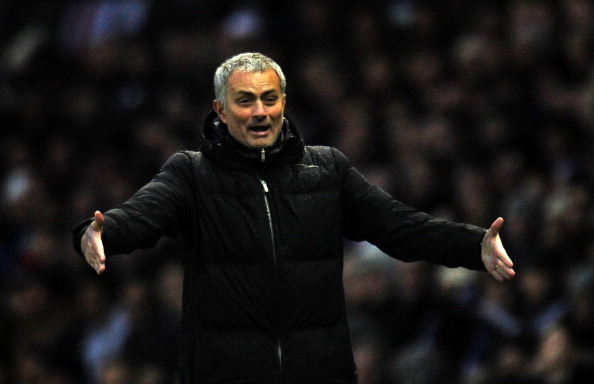 Jose Mourinho – Fantasy turned into reality! I wasn’t given an alternative. I had a solitary option, taking into account my background, and that is to follow cricket. I did exactly that, and I believe I have done it quite well, too. After all, I am not of the opinion that Cheteshwar Pujara is (was) sidelined from ODIs due to fitness issues, and I did prevision Jimmy Neesham getting to where he is now, before my landsmen did. That is to mention a few. So why hasn’t anyone come up with a game like football manager for cricket? Why should I be put at disadvantage for someone’s lack of artistry or someone’s naiveté to think cricket isn’t strategically of the same level as football to give it the completion it deserves? Football manager, the game if seen once in action, must be the envy of any cricket fan. To be there, to do what an international cricketer does in a cricket field is what fantasies are made of. But that is it, pipe dreams they are. Hardly anyone is given the wings to take off, at least that was the case when I was growing up. The next option for someone who could, now, take a call for himself is doing a Jose Mourinho. I have not ruled that out, and no, I do not have bats in the belfry as I say that. In the course of time, you need to stop blaming and take your life by the scruff of the neck. I hope BCCI doesn’t do something as harebrained as bringing restrictions to limit people who could take up a coaching role, just like they brought the curtains down on commentary. Fortunately, Harsha Bhogle managed to find a way in before all these, and how pleased I am that it happened: a voice to alleviate all your trouble. I will, someday down the line, manage a team, but there is time left. Meanwhile, what was I left with? Choices included EA Sports, Brian Lara cricket, and, at best, fantasy cricket. I presume you would not need a breakdown on why a 23-year-old would hate EA and Brian Lara cricket. I mean, seriously? Are we that worthless to have these as options? Fantasy cricket solves the dilemma to an extent. However, traditional fantasy, unless it is as good as the one that was provided to us by the official website of IPL and CLT20, is not my cup of tea. It all looks cool as you try your hand at it for the first time. But much of it depends on how the captains manage their teams, and given the state of captaincy these days, I am not so excited about it. You still make the top 100 if you are damn good, and I do, too, but to be the undisputed champion, you need to run the show. The alternate version of fantasy cricket excites me. More on that in my next article, where I plan to take up an equally scintillating concept for the gamers. Still, nothing can match the feeling which controlling a team can provide. Well, come on, admit it. Every one of us mentally picture ourselves being the one in-charge; the one who has the ultimate reins in the game we love. Simply put, every one of us wants to be a Jose Mourinho. I cite ‘The Special One’ as I could relate more to him, as he isn’t your everyday player-turned-coach. And also for being the virtuoso he is. Given very few of us move out of our comfort zone and do what he did, being a manager of a virtual team is the best solution to tone down the hankering. Football fans have a solution in football manager. What do we have? Cricket fans trying to brush up on football, after all this while, is the last thing I would recommend. If your intention is to know the game to its full – which, in my case, it was – you are most likely to be misled. To get a knack of a new sport, especially when you are in a country to which football is as alien as Daniel Christian is to cricket, isn’t as simple as ABC. I learnt it the hard way. Just when I was in need of something, enter Hitwicket! Hitwicket was set in motion as a private Beta in May 2012, and within a year and a half, it has attracted 15,000 active users. It wasn’t surprising when they finished as runners-up in the ‘software product of the year 2013’ category, in the 22nd annual awards function presented by ITsAP – The IT and ITES Industry Association of Andra Pradesh. It is an online T20 cricket management game where you can own a cricket team, buy players by winning a bidding war in an auction market, train your players, pay their wages, watch them play matches that will be streamed, scout players, get promoted/relegated, and to top it off, strategize. This is gamers’ Shangri-la! Isn’t it? Did you miss the part where I said your matches will be streamed, as in you will see a live commentary, or the part of purchasing a player in auction? Read it again. It happens. I freaked out, too, when I first saw this.